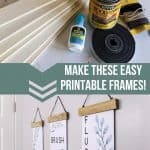 If you’re looking for a really easy DIY frame for printables, you’re going to love this tutorial! 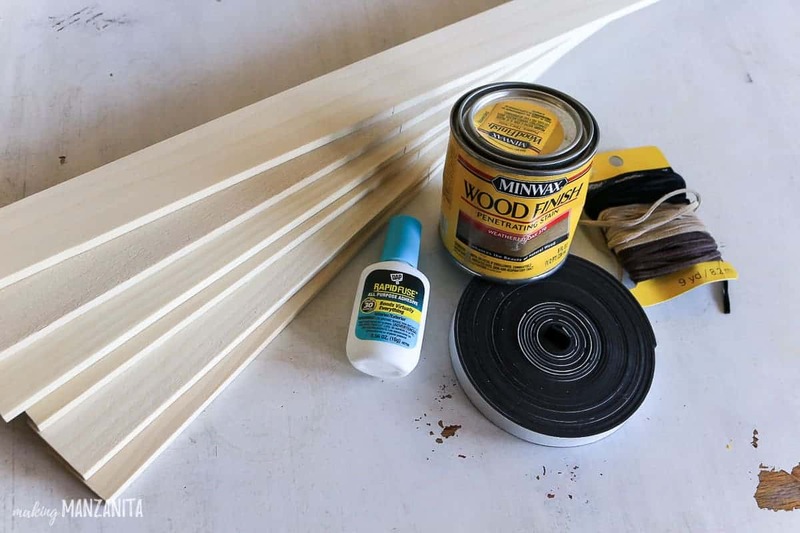 Learn how to make a DIY poster frame that is cheap and simple! 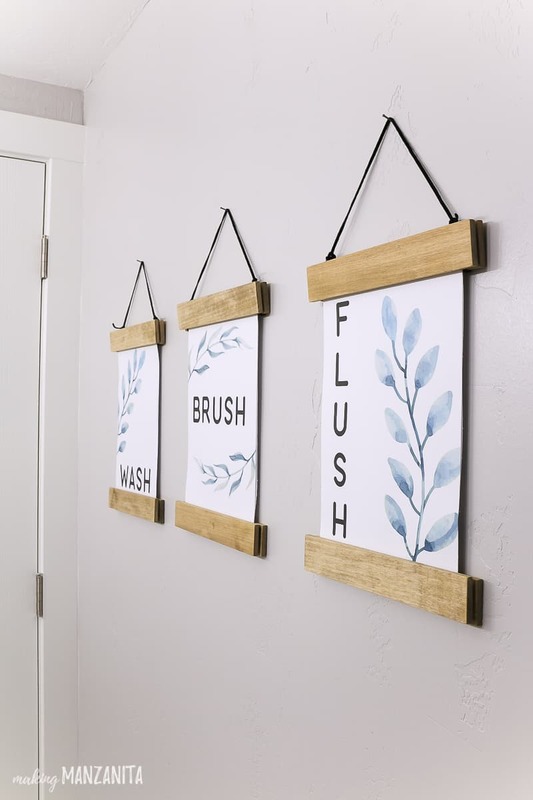 Also, you can download these free bathroom printables to put in the frames! I love printables…love making them to share with you guys…love downloading them…love using them in our home. They are one of the best ways to decorate an area of your home quickly and CHEAP! There are so many free printables out there! The issue I was having is how to display printables after you download them. Just short of putting them in a boring old frame, I was at a loss. I wanted a way to display printables on my wall, easily switch them out when I find new ones….not to mention, I wanted it to look good. Enter the DIY poster frame. 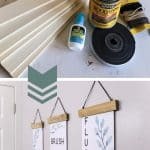 I’ve made a version of a DIY frame with supplies that I already had on hand + some super cheap wood boards from Home Depot…seriously, they are only $1.55 each and you only need 2 for each frame. 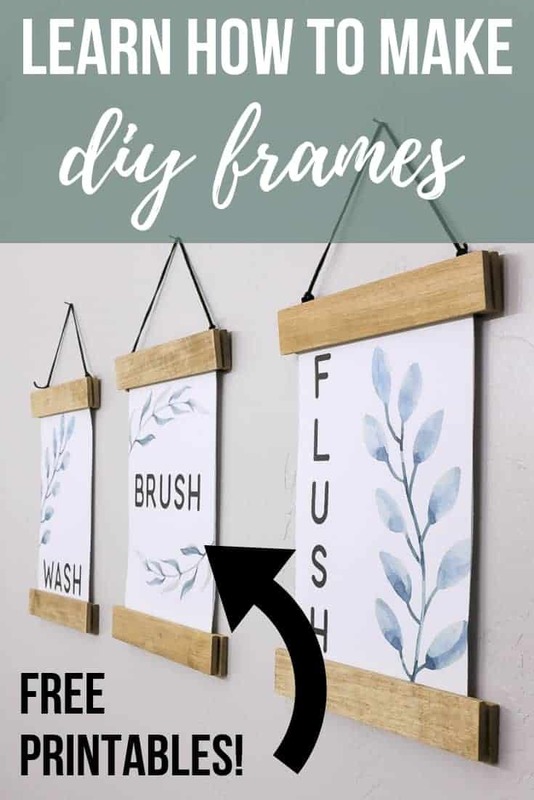 You can really customize your frame by staining or painting the wood whatever color you want and you can make these in different sizes if you have, say, a poster you wanted to hang versus a small printable. This tutorial contains affiliate links, but nothing that I wouldn’t wholeheartedly recommend anyway! Read my full disclosure here. I summed up this tutorial in a short video for ya! If you love DIY videos, be sure to subscribe to my YouTube channel so you don’t miss one! Aren’t these frames such a fun and easy way to display printables in your house? 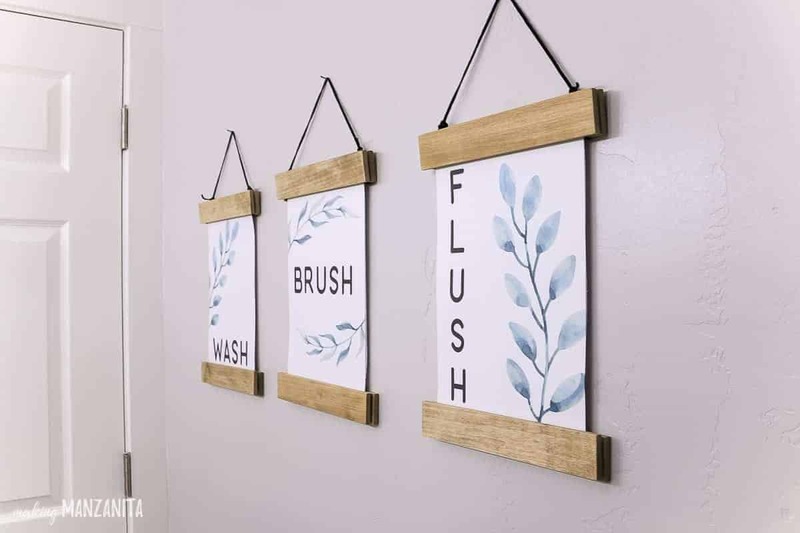 Now if you’re wondering how to get these bathroom printables, you can grab them below. I was so excited to make and share these free bathroom printables with you, so be sure to show me how you use them in your bathrooms. You can share photos in the comments below or tag me at @MakingManzanita on social media! 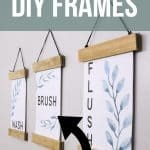 Where would you put a DIY frame in your home?? Want to see more of our modern farmhouse bathroom? THE BIG REVEAL – Check out all the pictures of our finished farmhouse bathroom! DIY Frame For Printables (+ Free Bathroom Printables) – you are here! How To Hang A Mirror On Tile – coming up next! Do you love printables and want to see more!? Free Print for Easy Farmhouse Sign Decor!